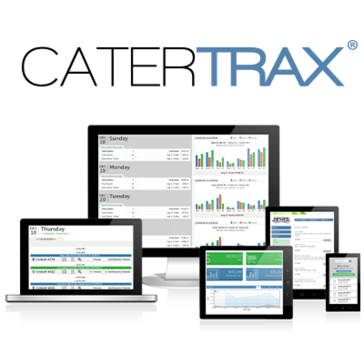 CaterTrax is a catering management software that powers kitchens and streamlines customer ordering for managed hospitality providers supporting multiple lines of business. "I've always had a knowledgeable person to help when I've had questions and when changes need made." When I have changes that need to be made they are typically made the same day and are done accurately. I've had the opportunity to work with CaterTrax staff pretty extensively between the two units I've worked for and have been happy with the outcomes. The site is very user friendly. I would love to be able to see the title of the order when reviewing past orders. When you can't see the title of the event and don't know for sure what the date or amount are, you really have to do a lot of looking and opening orders to find the one you want. This software is easy to use and will save time and money when it comes to processing event orders. We can process all of our orders and I can print off all my orders for the kitchen without them having to have all the billing details and such. We can process payment right on the site and once the event is over all the billing done, we are good to go and it's paid if they are using a credit card. I love the on-line wallet and the ability to store more than one credit card for each customer. "Great Start, Needs Some Updates"
I loved the fact that our clients could go online and browse easily our online menu. It helped when they needed help steering their menu towards something more concrete. The struggle I had was that it felt out dated. It would be slow, or didn’t give me some options I would have really appreciated, such as more customization for the clients. Was great to have all our clients in one database! Not only that but it gave those who weren’t used to our menu a great reference. It is easy to work within the program. It's user friendly for people who are used to doing online ordering. When I place a ticket for new requests to be added to my menu, it is often done same day. I don't have any real negatives. It would be nice if I could do some things for myself, instand of having to place a ticket. For example, change item prices, but tickets are resolved quickly. Consider implementing the program if you are doing a lot of charges for catering or floor stock manually. Expect some time on implementing the program. You have to fill out a spreadsheet of all products and costs. Then, you have to assign them to the units who can order them. After start up, it is very low maintenance. Simply added reqeusts for people and changing prices. The reports are really nice. We are able to use the floor stock reports to validate where our problem areas are. We can share those reports with the units, to collaborate on how to save money as well as identify waste. "Best Online Catering Ordering Software"
Before CaterTrax, we were spending hours inputting our catering orders into excel. I used CaterTrax at a previous job presented the benefits of using this program to my boss. He was on board, but our corporate office wanted us to use Caterease. I put together another presentation comparing the two programs and and after a long discussion, we were able to get CaterTrax. I saw the light at the end of the tunnel! This was the best thing we brought to our department and clients. There is not much that I dislike about CaterTrax. It allows the customers more freedom to place orders at their convenience. The reports for payment and sales are helpful in keeping track of outstanding payments, where you are with sales compared to your budget for the month, help you with determining your budget for next year. I love that it is an entire stand alone system. Order, track and pay all without leaving the site. Store customer credit card info to speed payments. What I do not like about CaterTrax is that the deleted or canceled events do not disappear from the calendar. I would prefer that they are gone from the view, even if they are still in the system. Whatever the price, it is well worth it. Your customers and your managers will thank you. We are able to track catering, go through historical data and track customer spend. "From Nothing to This: Big Inprovement"
I enjoy how you can see upcoming orders and are able to duplicate an order to order the same exact thing again. Saves a lot of time for repeat orders. I dislike navigating through all the different tabs of what if offered. It’s a rat race to figure out what’s where and how to get to what you know is offered. Organizational means is clutch with using CaterTrax now. "Used this every day for a year when I worked for a catering company. " I wLoved the organization of the program and the way it showed you which days there are events and how many there were. I didn’t like the format it made you copy paste the information into. We had Proposals typed out in Microsoft Word and to get them into the system we had to copy paste them and when we did that it was all over the place and would not stay organized. We had so many events every day, every week every month and every year and it really helped us stay organized and kept all the details of each event in one space. It was also easy to locate the event you wanted to click on. Catertrax is so easy for myself and my clients to use. I love that my clients can place their order without my handholding. Very easy to learn. In general it is user friendly, but I am able to navigate computers fairly well. Most people find the system difficult. Overall, there is much to be desired. If you do not know how to access back end it makes edits very difficult. The folks who work customer service seem to be missing knowledge and training. When I need to make changed through their representatives, it is often done incorrectly or my requests leave the representatives confused no matter how detailed I make my requests. The system allows us to place the orders we need in an orderly fashion but much is left for improvement. "Great software to use for busy caterers "
The ease to use the system is great, it helps keep myself and our kitchen organized on busy days. Catertrax needs to develop and app, i think it would not only make it easier to keep track of events when on the move but also help increase sales. Its the most comfortable catering software that i have used. I love that different menus can be printed depanding who i need to provide it for: kitchen, customers or waitstaff. If changes are made by one manager, i think there has to be a text massage going to other managers about it. Providing catering for my customers smoothly. Cater Trax helps us cater exactly what our clients need. I love how fast and user friendly Catertrax is. I would not change anything at all at this time. Organizing all of our caterings. The program is easy to use and service requests are handled quickly. THe shopping cart feature for me is a hassle. I know others like it but I like to see my order as I place it. I do not lilke having to review in a cart. Catertrax saves time when inputting orders whether it is a pre loaded menu or a custom menu. It is easy to trak orders and sales, changes and order placed by customers. "Easy to for anyone to use!" This software is easy for any employee to use and they do - so less work for us. Also like how every interaction with it is recorded. When accessing as administrator, it takes several repetitive clicks to make reservations and check on availability. Room reservation and catering requests. Room reservation was a manual process prior to purchasing this software. It has made employees responsible for their own reservations. The ease of use. Do not need much training. Clients are able to go in and change their own contract. We sometimes missed important changes. It is a great product when dealing with repeat clients. Clients feel more in control and they like ease of use. Always changing and adapting to the growing needs of our clients. Sometimes limiting to the needs but it is growing pains and they make great strides in improvements. Benefits are a great tracking instrument to fulfill the needs of our clients. * We monitor all CaterTrax reviews to prevent fraudulent reviews and keep review quality high. We do not post reviews by company employees or direct competitors. Validated reviews require the user to submit a screenshot of the product containing their user ID, in order to verify a user is an actual user of the product. Hi there! Are you looking to implement a solution like CaterTrax?